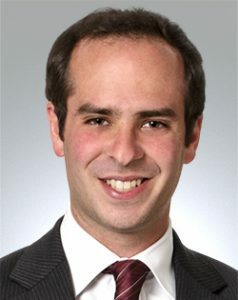 Zachary Lerner is an associate in the New York office of Locke Lord LLP as a member of its Regulatory and Transactional Insurance & Reinsurance Department. Zachary maintains a general corporate practice with an emphasis on insurance regulatory, transactional and reinsurance matters. In particular, Zachary works extensively in the admitted and surplus lines insurance markets, and has represented insurance agents and brokers, insurance companies, reinsurance intermediaries, third party administrators, captives, special purpose vehicles and other related entities in connection with their needs, including, but not limited to: formation, licensing, regulatory compliance, advertising and filing matters. Zachary also works with both insurance and non-insurance entities on an array of transactional matters, including corporate filings and annual reports, mergers and acquisitions, affiliate transactions and stock and asset deals. Zachary graduated from Brown University in 2007 with a double major in Economics and Political Science, and from Georgetown University Law Center in 2010. Zachary is an avid tennis and baseball player, born and raised in New York City.